This is a picture of one of the most recent litters. I’ve had three littermate Duroc gilts farrow. Each is an excellent mother. The Duroc breed is not considered good for mothering ability. There are some genetic lines within the breed, however, which have been selected for mothering ability. I’ve been selecting from within these genetic lines for a while. Farrowing crates can mask poor mothering ability, and bring the worst performers closer to the mean. 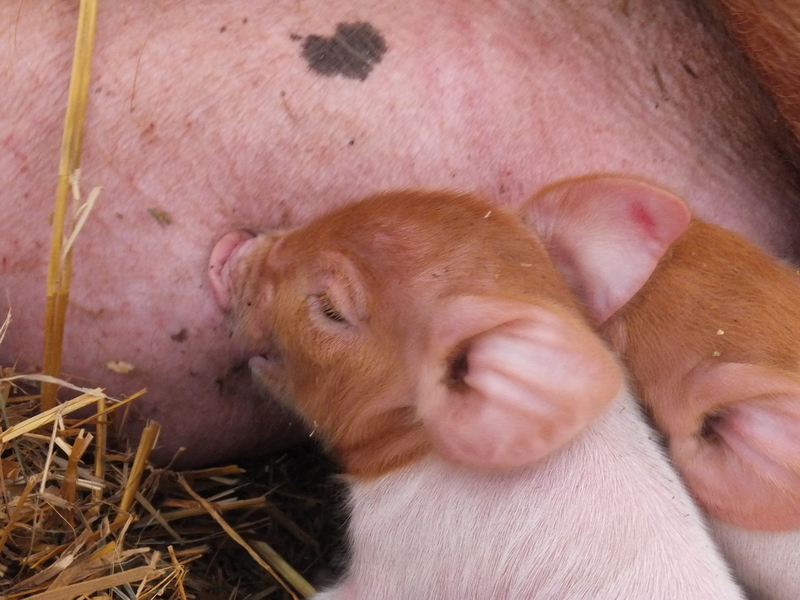 Farrowing without crates allows a fuller expression of a sow’s maternal instincts. I’m happy to see positive results from my years of selection. This entry was posted on Tuesday, January 24th, 2012 at 4:37 pm and is filed under Curious genetics, Curious hogs. You can follow any responses to this entry through the RSS 2.0 feed. You can leave a response, or trackback from your own site. 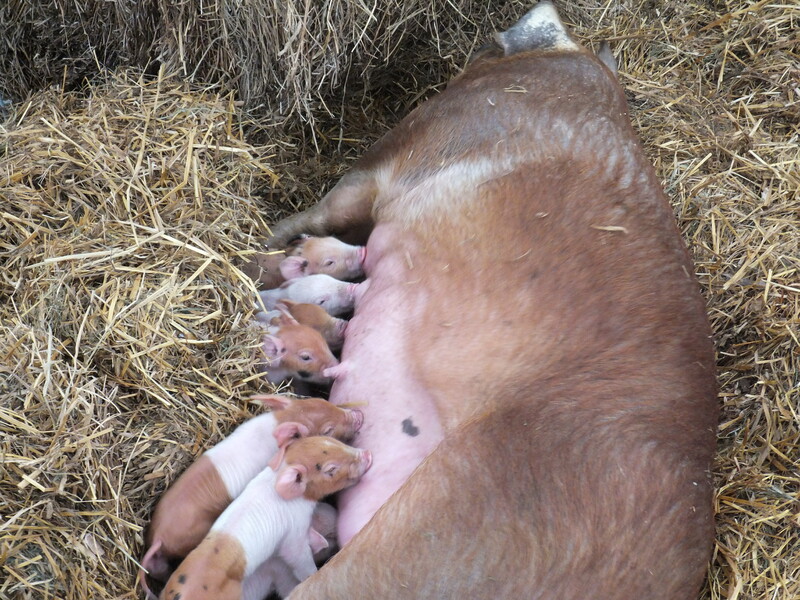 I was curious about that after the last post, whether there is a breeding factor in sows crushing their young.